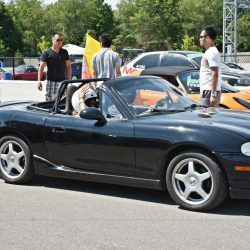 To force myself to get our Ecotec Miata finished and track ready, I set myself a deadline; a deadline with money on the line. 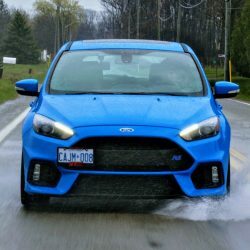 The DriverMod team made the decision to attend Gridlife Midwest back in January, and I made the decision to spend $180 US (roughly a billion Canadian dollars) on an intermediate lapping ticket. With our Gridlife adventure approaching, things were looking up. The car had two lapping days under its belt where we addressed two major issues; its lack of a catch can, and its tendency to melt wiring. 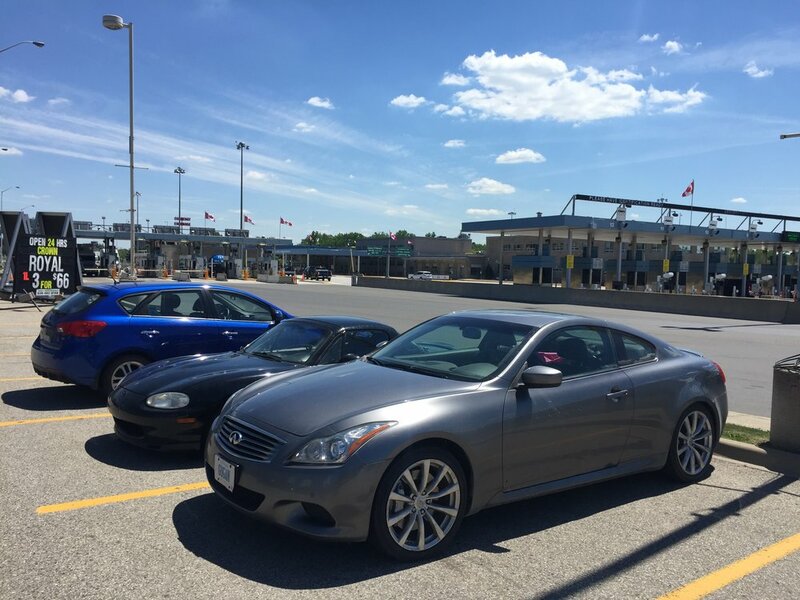 Thursday morning, I loaded the Miata up with tools, a sleeping bag, helmet, and threw everything else that didn’t fit in Milan’s Kia Forte and Mike’s Infiniti G37. 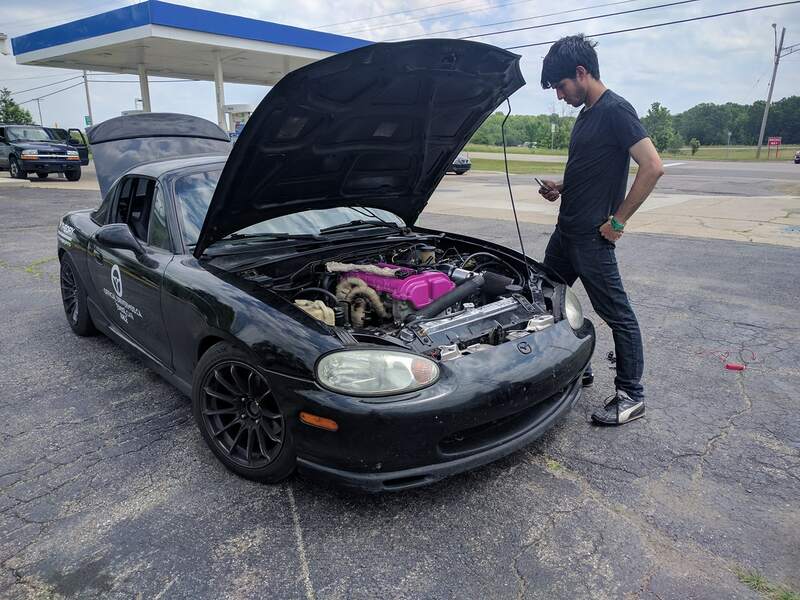 I’m rolling up to a stout US border officer in a loud Miata that’s missing its front license plate and has the word “race car” written across my door; I hand the border officer my passport and he starts asking standard questions. “Where are you from?” says the officer. “Toronto!” I try to shout over the four-inch cannon muffler coming out the rear of the car, but the officer makes it clear that he can’t hear me, so I shut off the car. We finish our exchange and he waves me through, but I’m going nowhere. *Click*click*click*. The starter clicks but the motor won’t turnover. I keep turning the key desperate to not create an international security incident when the guard shouts, “Is it broken? It sounds like it’s broken!” I give up and insist that the car has never done this before, which was mostly true (it hadn’t done this since I replaced the starter), and I ask the guard if I can get my friends (Milan and Tyler behind me in the Forte) to help me. “Is it an auto or manual?” the officer replies. “Manual!” I say, mostly confused. “Does it start easily?” says the guard. “Yes!” I reply, now very confused. That’s when the border guard pushes his way through the spring-loaded plywood door, places both hands on my trunk, and heaves the roadster forward. I bump-start the car, and drive off desperate to get away from the border before I break something else. I met my friends at a gas station where they were very sympathetic to my situation. Tyler, our new producer, hopped out of the Kia, shoved his microphone in my face and shouted, “So Phill, you wanna tell us what happened?” through tears of laughter. Thankfully, the rest of our trip to Gingerman Raceway was uneventful. Just kidding. We pulled into a gas station in Flint Michigan for a mandatory Red Bull stop. I roll into a parking spot, step on the brake pedal and it goes straight to the floor. I yank the handbrake, hop out of the car, and my front left driver’s side tire is sitting in a puddle of brake fluid. Further inspection reveals a deep groove in the rubber brake hose. 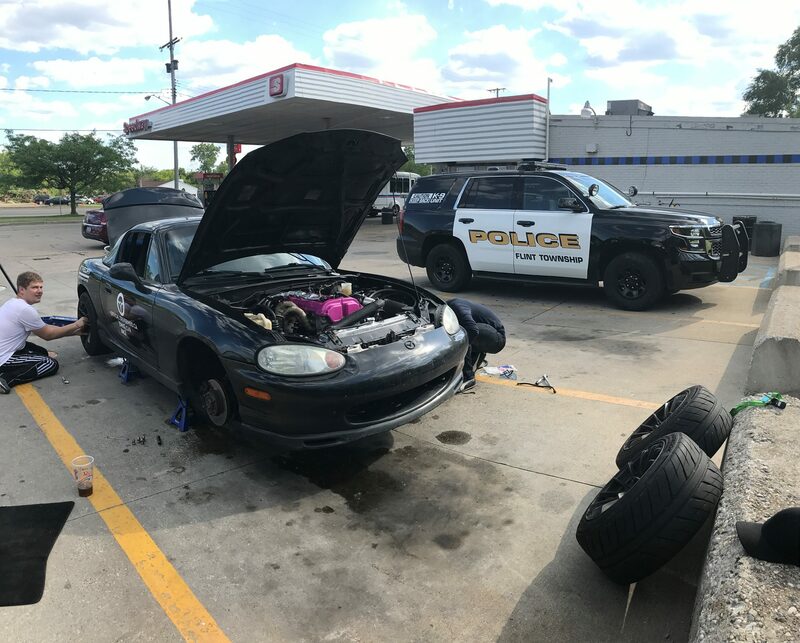 Being America, we find an AutoZone four minutes away, pick up a new brake hose and get to work jacking up the car in the “5 minute parking spot”. Within an hour, we had the hose replaced and all four brake calipers bled. I counted myself lucky and we hit the road once more. We get into Gridlife late, grab our media-wristbands, set up our tent, and crash for the night. The next morning started early with a tech inspection. Gridlife staff looked over the car for anything loose, wiggled each wheel, made sure everything under the hood was secure and checked my helmet. From there came an 8 am driver’s meeting that covered flags, navigating the pit lane and what to do if your race car suddenly bursts into flames. Then came my first session of the day. 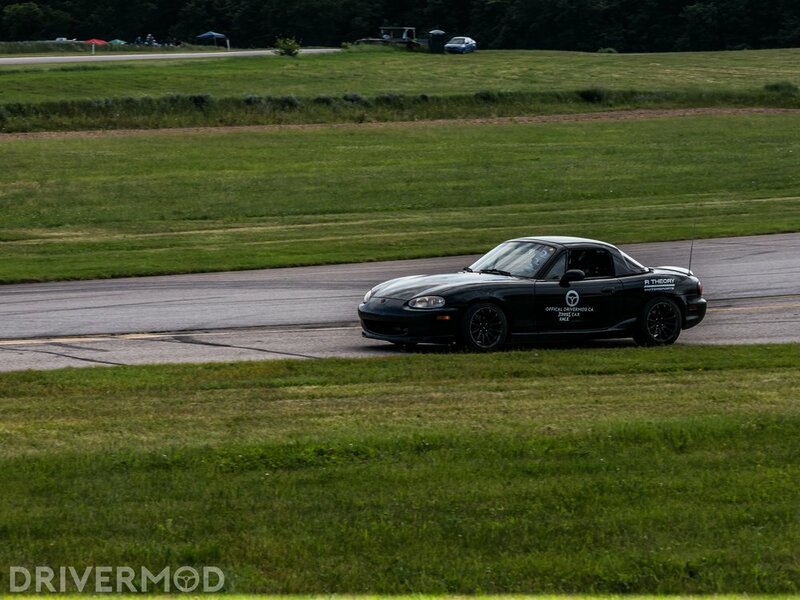 Being totally new to Gingerman Raceway, I took an instructor with me. Impressions of the track were this; it’s fast, wide, and forgiving. 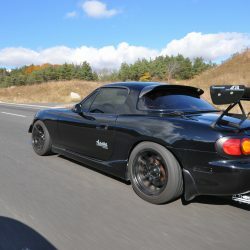 With two long straights, it favours high horsepower cars, but the rest is made of tricky multi-apex corners where cars like the Miata can fly if executed properly. The previous day’s sudden brake failure never left my mind, so I gave myself liberal braking distances while my instructor pointed out each braking zone, turn-in point, apex, and the line between corners. The next session I was getting comfortable and making passes. In short, the car was great; massive grip in the corners thanks to fresh Hankook RS4s and XIDA coilovers, and just enough power to pull on a Scion FRS in the straights. Heat soak was an issue as the car felt noticeably down on power as the laps ticked by. That was also around the time when things got weird. First, my clutch started feeling funny, like the engagement point was getting lower. Shifts from 2nd to 3rd gear started feeling clunkier. More importantly, throttle input got erratic. I pulled off into the pits and low-rpm driving was near impossible – the car would buck and leap forward at anything less than 3000 rpm. Back at camp, we popped the hood and started tearing into the wiring harness. Okay, I lied. 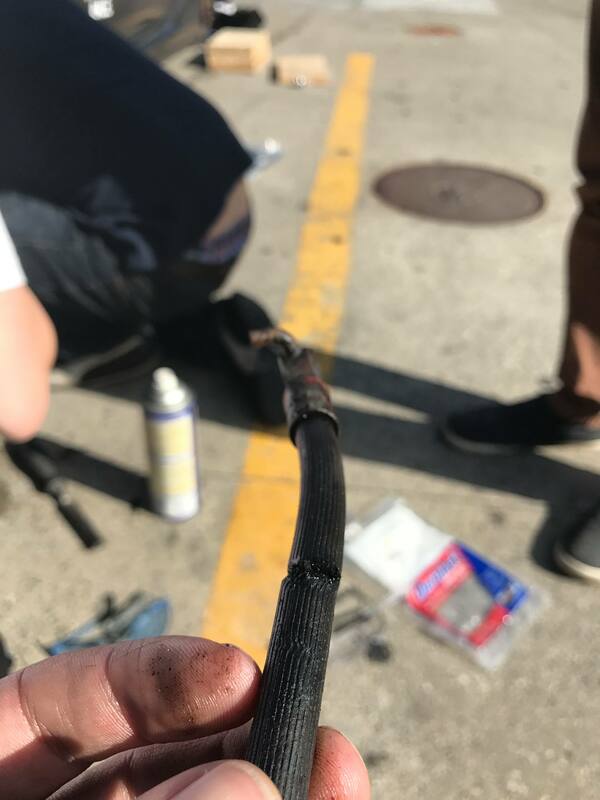 First, we tried to cook pizza pockets on my still-hot exhaust header, and then we started tearing into my wiring harness. I suspected that as usual, my power steering pressure line was heating up my MAF wiring and/or throttle body wiring and causing signal issues. I ended up tearing apart the harness in an effort to move everything away from the power steering pump, broke a few wires that weren’t properly secured, and spent the rest of the day trying to figure out ‘what-connected-to-what’ without a wiring diagram. I later learned that the gasket in the middle of my header had given up, creating an exhaust leak prior to the O2 sensor. Not only did this leak spray hot exhaust gas at my clutch line, but it eventually got large enough for the car’s ECU to figure out that it was getting inaccurate O2 readings, and put the car into limp-mode. In any case, we were down and out for the weekend. 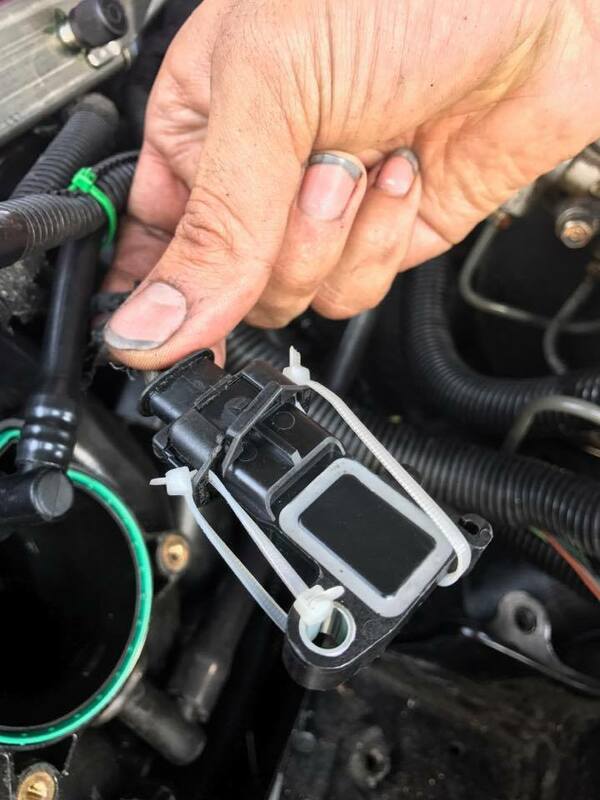 Unbeknownst to me, when we tore apart the harness, we broke the MAP sensor’s clip so it could slide off the sensor over time. Which it did, roughly 100 km into the trip home. My wideband gauge (which shows my air-to-fuel ratio) flat-lined at 10, (i.e. ; rich). It was also around this time that Milan’s voice came through my walkie-talkie, and informed me that I was rolling coal harder than a Cummins diesel truck leaving Cars and Coffee. We took the next exit, found a gas station and spent the next hour trying to figure out what the hell happened. The fix? Zip-tieing the MAP sensor to its clip. Rolling coal for several miles naturally had consequences – namely, the bolts holding my header together started coming loose. This became obvious when my car got suspiciously louder. 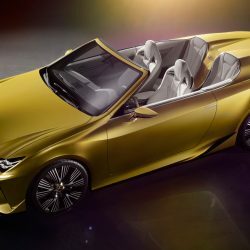 Very loud – like, open headers loud. 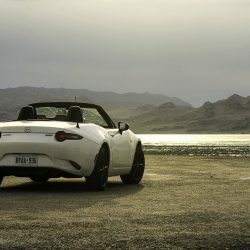 Now I had to drive back through the border in a Miata that sounded like it was trying to devour itself. I spoke loudly with the guard trying to avoid another no-start situation. 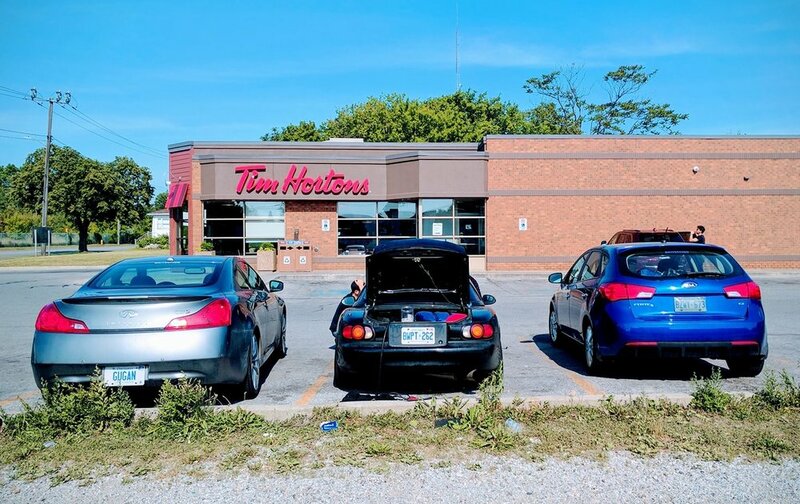 We stopped at a Tim Hortons and reflected on our adventure while waiting for my header to cool enough to wrench on it. That’s when Mike (our resident hater of wrenching) made a shocking revelation; having the car break down every two hours or so… wasn’t such a bad thing. It broke up the 7 hr drive in to easily digestible chunks. More so, it was an adventure that pushed our resourcefulness and skill. And we met loads of rad people, like K9 unit officers and border guards! Hey, I had to find a silver lining. We got the header bolted back up, and made the final two-hour drive home without issue. Okay, I lied. My speedometer died, but who needs a speedometer?